This one is also mathematically-themed, though a bit less obviously so. This is a third kind of knitted accessory. While the name can be mathematical, the meaning of the exact word in math is on a higher level than I think of as general knowledge, so I’m not going to use that as a clue. 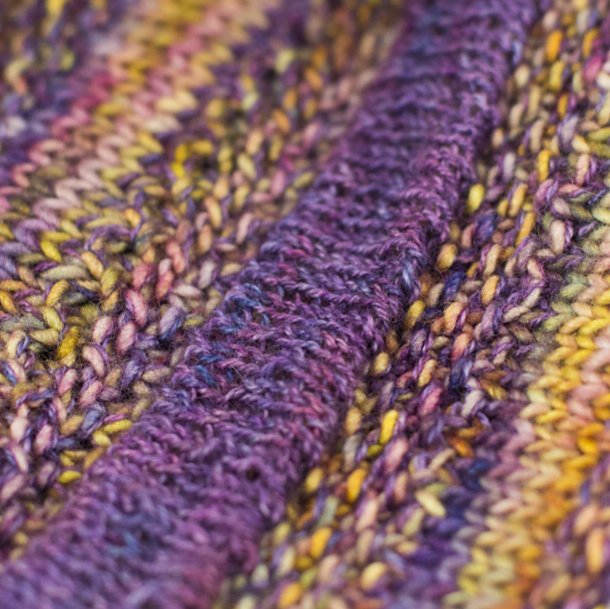 The shape, however, is an twisty form familiar to many knitters, though perhaps a bit one-sided. It’s worked from the middle outward. It’s got double knitting and seed stitch. I suspect the name has to do with the double knitting, as it has to do with a mutual exchange of benefits. I interviewed the designer for a previous year’s Gift-a-Long. Either look through this bundle of Gift-a-long sale patterns (searchable if you have a Ravelry account), or through our Pinterest boards, which are broadly organized by category. If you figure it out, please either email me: naomi at stringgeekery dot com, or message me on Ravelry. If I get more than one answer, I will use a random number generator to pick a winner. Deadline is the day before the end of the sale: November 26, 2015 at 11:59 pm US EST.